The participating students from the Humanities, Arts and Social Science (HASS) faculties shared their social business ideas at the final pitch event held on 22 March 2018. The judging panel of business leaders and social entrepreneurs including Chair of Grameen Australia Peter Hunt AM, Associate of Giant Leap Venture Capital Fund Rachel Yang and CEO of social business Purple Soup Tim Marchinton, selected winners who best demonstrated feasibility, social impact and early traction. 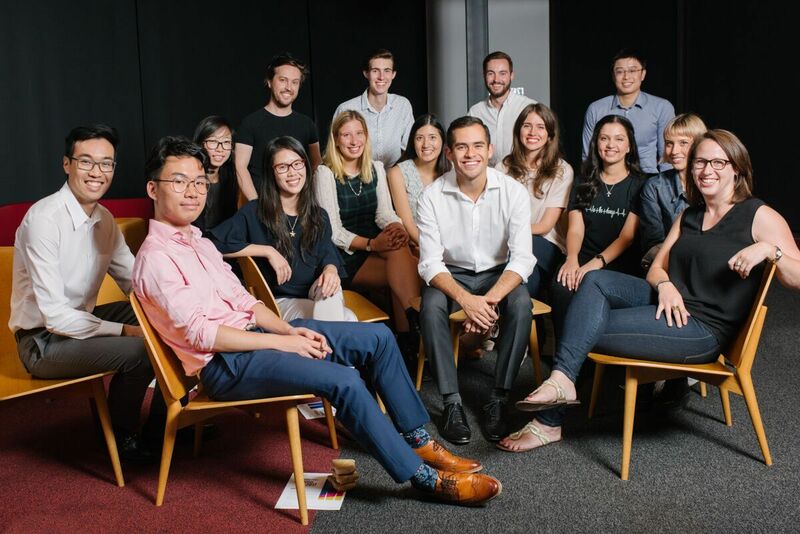 Winnie Wong, studying a Juris Doctor, took out first prize for her social business Assisted Outing - a crowdsourced community marketplace that provides tailored trips and outings for people with special needs. The social business has already launched, developed a website and will continue to establish outing packages in 2018. Grounded: a company repurposing used coffee grounds into exfoliator scrub bars – by Elisabeth Sandbach (Arts, Law), Natalie Zheng (Law-JD), Sean Paulding (Arts, Law). Operation Mobilise: a video production agency aiming to raise awareness of problems faced by the homeless in Melbourne - by Noah Yang (Business). Room and Board: Australia’s first social business hotel that re-invests its profits into Victoria’s leading homelessness prevention service – by Jessica Heron (Law-JD). Teams participated in the seven month pilot program aimed at developing and refining business ideas that address problems of equity and disadvantage in the community. During the program teams were supported with workshops, business mentors and worked alongside Entrepreneur-in-Residence Will Dayble of the Fitzroy Academy to help develop their ideas. Program Manager of Leave No One Behind Dr Lara Werbeloff said it has been a privilege to see such talent and enthusiasm from our student cohort. BX: A platform to make sustainable clothing more accessible to university students by giving vintage clothing a second life online - by Davy Hu (Law, Business), Derek Zhong (Law, Business), Annabelle Chai (Arts, Law), Jonathan Beh (Business, Law), Winnie Wong (Law-JD). Leave No One Behind is run by the Monash Sustainable Development Institute (MSDI) in collaboration with the Faculties of Law, Arts, Education, Art Design and Architecture, and the Monash Business School. The program provides students and graduates with entrepreneurial skills to help them translate their passion for social good into solving problems of equity and disadvantage in the community. Leave No One Behind will run in Semester two, 2018. Please visit the website for more information on dates and deadlines.